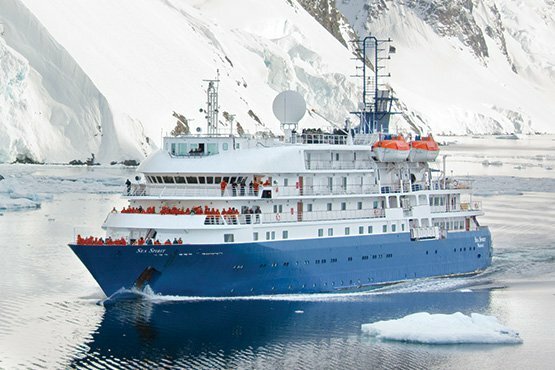 Poseidon Expeditions is one of the leading providers of polar expeditions in the cruise industry. Founded in 1999, the company is a recognized leader in icebreaker cruises to the North Pole, the Arctic and Antarctica. They market their expedition cruises globally and hire an international crew through a third party concessionaire. Poseidon Expeditions currently operates two expedition vessels equipped with a fleet of Zodiac landing craft and operating different types of helicopters aboard icebreakers. Passengers are guided ashore by a team of expedition guides and educators to observe up-close the spectacular wildlife and landscapes. In 2008, Poseidon Expeditions started operating the 128-passenger, nuclear-powered 50 Years of Victory (50 Let Pobedy). In 2015 and 2016, the company has operated Arctic and Antarctic expedition cruises on the 114-passenger Sea Spirit. Previously, Poseidon Expeditions utilized the services of third party concessionaire, FleetPro Passenger Ship Management for the technical ship management and crewing of their vessels. In late 2015, Cruise Management International and CMI Leisure were established and bought out Fleet Pro Leisure and Fleet Pro Ocean. To work on one of Poseidon Expeditions’ vessels, apply through Cruise Management International for technical and marine operation positions. Or, apply through CMI Leisure for hotel operations positions. Poseidon Expeditions directly hires their expedition staff for all of their polar adventures. If you have appropriate experience in the Polar Regions as expedition staff, please feel free to contact them at jan@brydegmbh.com. Please send a covering email and your CV.